Grant School: 112 Years and Closing | Christopher T. Assaf Visual Journalist Visual storyteller Christopher T. Assaf lives in Austin, Texas. He works throughout Texas, the Gulf Coast, Southwest, Midwest and available to go almost anywhere. He is an experienced photojournalist specializing in sports, portrait, lifestyle, magazine, corporate, pet, commercial & wedding. He is an award-winning video editor and cinematographer. 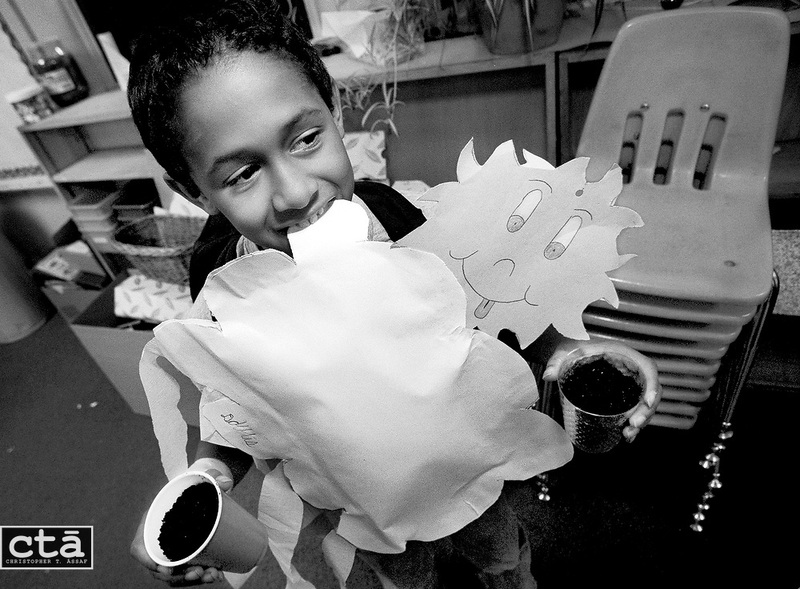 Hands and mouth full with an art project and science experiments, second-grader Darris Vann waits to say good-bye to his teacher before leaving the school.